Land developers, an Indian reservation, and America’s first National Park all threaten the largest contiguous ranch in the United States. See if the Dutton family will survive through it all. I would love to continue watching this series. Love the cast and I’m happy with the plot(s). However, I cannot understand what anyone is saying unless I turn up the volume all the way, then I have problems with the loud music and the loud ads. Can’t anything be done to make the sound quality better!!! Kevin Costner stars as John Dutton, patriarch of a Montana ranching family, and owner of the largest ranch in the U.S. It’s the story of Dutton’s fight to defend his land and his family from the modern-day forces that threaten his way of life. As the dust settles from the dispute, the Duttons deal with the potential repercussions. John calls in a favor and collects on some old debts. Jamie meets with the governor to do damage control. The Duttons deal with a painful family anniversary. Kayce saves a young girl from danger. Jamie and Beth plan their respective political careers. Rainwater makes an ominous threat to the Dutton legacy. A secret about John comes to the surface. Beth shows Jenkins a rough night out. Quality time with Tate leads to a close call. As Kayce feels the heat from tribal police, Jamie works some legal magic. Rip recruits a new cowboy for the ranch, and a beaten-down Jimmy begins to find some respect. John makes a play to keep Kayce and Monica close to home. A new partnership threatens John and the Yellowstone. Jamie ramps up his political campaign. Rip confronts Kayce about cleaning up his messes. A Sherrif’s investigation turns the heat up on Rip. Jamie makes a bold decision about his future and faces the consequences. With the walls closing in, John discovers which family and allies will stand with him and fight. From the brilliant creative mind of Taylor Sheridan (Hell or High Water and Sicario) & starring Academy Award Winner Kevin Costner, this epic drama series follows the Dutton family, led by John Dutton, who controls the largest contiguous ranch in the US. Academy-Award Winner Kevin Costner returns to TV in Yellowstone an scripted drama from director Taylor Sheridan. In Costner’s own words get a “first look” into John Dutton who presides over one of the largest ranches in Montana,&head of the Dutton family. From director Taylor Sheridan, a new series that presents a spin on the wild west in Yellowstone. Starring Kevin Costner leading an all-star cast including Kelly Reilly, Wes Bentley, & Luke Grimes portraying a Montana ranching family. The Duttons are at the center of Paramount Network’s Original Series Yellowstone. A long-line of Montana ranchers with a rich legacy Kayce (Grimes), Beth (Reilly), Jamie (Bentley) & Lee (Annable) each have a stake in protecting their own territory. 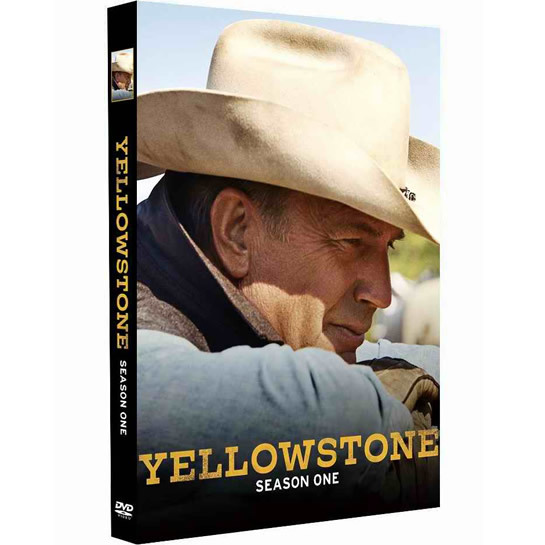 Go deeper inside the world of the Duttons with their cunning allies and ruthless adversaries, featuring Gil Birmingham, Kelsey Asbille, Cole Hauser, Danny Huston and Jefferson White, from Paramount Network’s new Original Series, Yellowstone.